The New York Cosmos used a pair of second-half goals to defeat the Fort Lauderdale Strikers, 2-0, at Shuart Stadium on Sunday. With the win, the Cosmos locked down a place in The Championship, while also extending their unbeaten streak at home to a 18 games. After a scoreless first half, Fort Lauderdale (4W-5D-8L, 17 Fall; 8-8-11, 32 Combined) had a golden chance only minutes into the second half when Amauri broke in alone on the New York (11-4-3, 37 Fall; 17-4-7, 55 Combined) goal. Challenged by goalkeeper Jimmy Maurer, the Italian international's rushed shot sailed high and wide. Fort Lauderdale carried the play and created several chances without converting, including a sharp shot from the left by Jorge Luis Corrales that fizzled wide. The Cosmos made the Strikers pay in the 57th minute. Juan Arango was led to the end line and crossed from the left. Ruben Bover left his feet to hit a first-time side volley that flew past Bruno. It was the fifth assist of the year for Arango, a former Venezuelan international. New York iced the game when Andrés Flores scored his fourth goal of the year, in the 84th minute. Arango sent Lucky Mkosana down the left side, and his cross was volleyed into the goal by Flores. 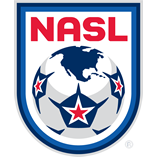 New York has not lost a game at home since the 2015 NASL regular season. For more information on the game, go to nycosmos.com and strikers.com.